When he stepped from this earth he was immediately with God. John 11:26 says "And whoever lives and believes in Me shall never die." 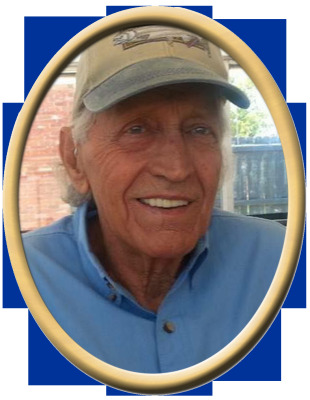 Thomas H. Warren, 82, of Gurley, passed away Thursday. He was preceded in death by father, John Warren, mother, Ruth Warren and brother, Shannon Warren. Surviving are wife, Virginia Warren; son, James (Debbie) Kaphart; daughter, Teresa (Joey) Dennis; granddaughters, Krystin Kaphart, Tiffany (Matthew) Braswell, and Whitney Dennis; great-granddaughters, Ashlyn, Tinley and Willow; brothers, Jerry Warren, and David Warren; sister, Johnnie Gory; special-sons, Glenn Moore, and Randy Webber; special-caregiver and friend, Cindy Moore; and brother-in-law, David Warren. Visitation will be Tuesday 1:00 PM to 3:00 PM at New Hope Funeral Home. Services will follow at 3:00 PM with Clay Webber, Randy Webber, and Kevin Dewberry officiating. "Email Address" would like to share the life celebration of Thomas H. Warren. Click on the "link" to go to share a favorite memory or leave a condolence message for the family.